We are located in central Arkansas and minutes from beautiful Little Rock. 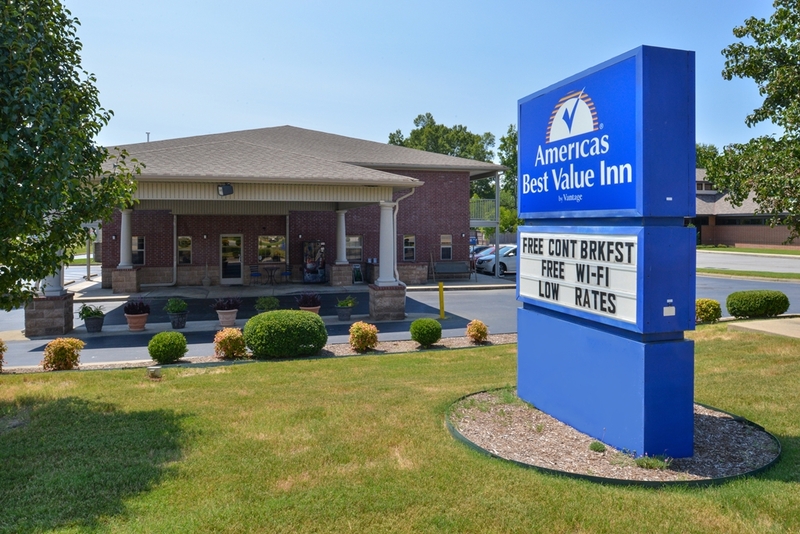 Americas Best Value Inn and Suites offers 32 spacious guest rooms with high-speed wireless internet access- in-room coffeemakers- alarm clocks- hairdryers- and 32 inch flat screen TVs with HBO. This property is located at I-30 exit 123- with easy access on and off highway. Complimentary continental breakfast is included- with many restaurants nearby for your convenience. Small dogs are allowed-charges and restrictions apply. Discounts available courtesy of Bryant Fitness Zone- which is directly behind hotel. The community of Bryant- a suburb of Little Rock- offers tennis- ATV riding- a new skating rink- and an 18-hole golf course. Fishing- boating- camping- hiking can be found in the nearby parks of Toltec Mounds State Park- Pinnacle Mountain State Park- Lake Catherine State Park- and Hot Springs State Park. Whole Hog Cafe: 0.2 mi. Desi Den Indian Restaurant: 0.3 mi.